As Vice President of Development and Asset Management for The Menkiti Group Development Team, Scott leads acquisition of single-family, mixed-use, and commercial projects, as well as the management of The Menkiti Group asset portfolio. Scott has more than 15 years of development experience, much of it on large-scale projects across multiple jurisdictions, including; Washington DC, New York, Puerto Rico and Florida. Prior to joining The Menkiti Group team, he was Senior Development Manager at A&R Development Corp., where he was responsible for more than $100 million of active projects and related development activities. With experience across multiple sectors of real estate, Scott has found a passion in working with underperforming properties in underserved communities, and the challenges associated with redevelopment, repurposing and improving these assets. His new role leading development projects and overseeing the current property portfolio provides him the opportunity to not only improve assets, but also the chance to positively impact entire communities through increasing economic development. Scott is an avid fan of the University of Florida Gators, where he attended college and earned degrees in Industrial Engineering and Finance. 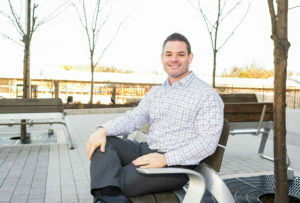 Scott grew up in Blacksburg, VA, and currently resides in McLean, VA.